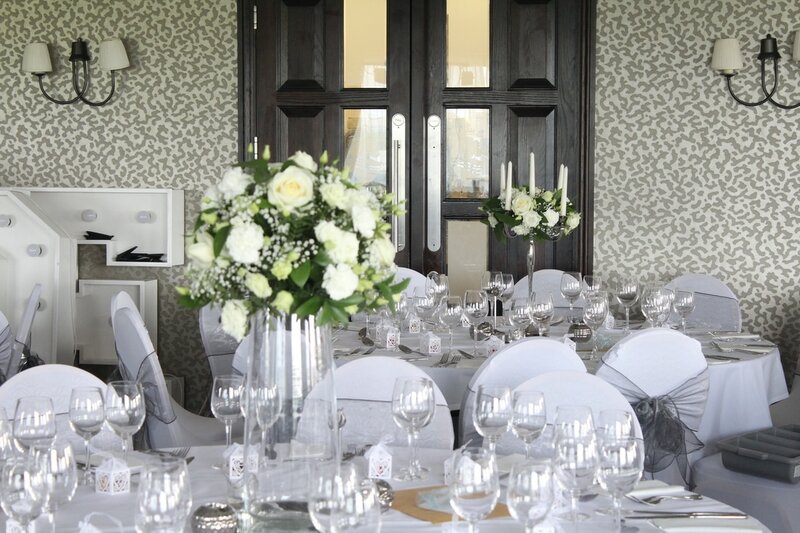 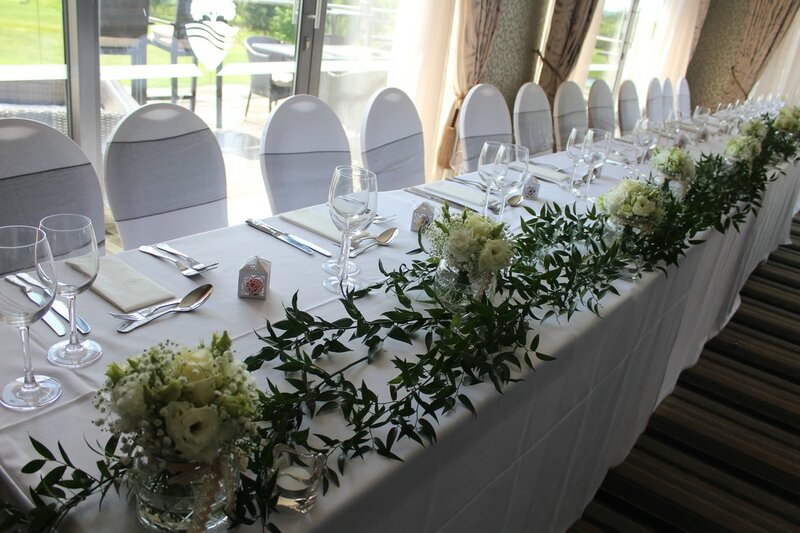 Paida and Antony chose a white wedding theme keeping there centrepieces classy and elegant. 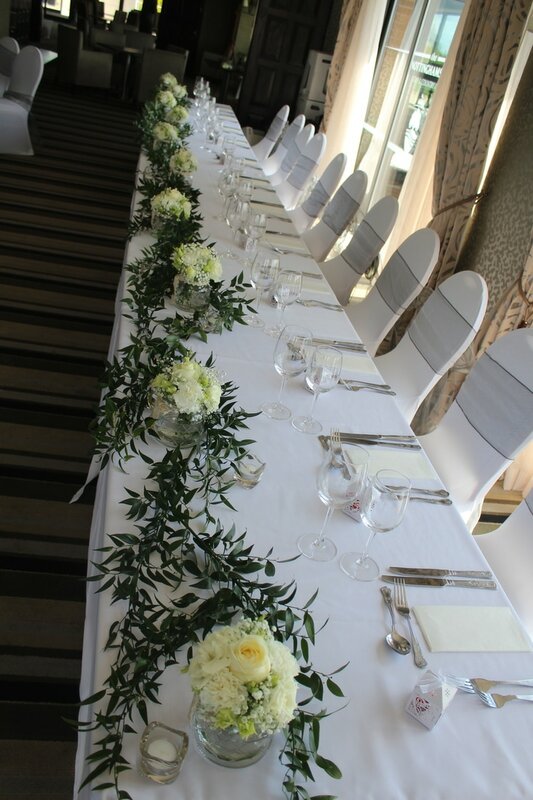 The greenery against the white flowers really made them pop. 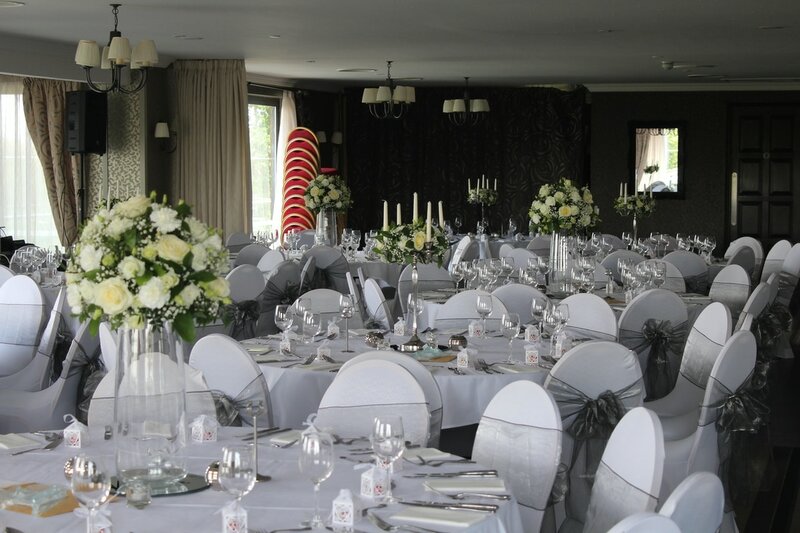 7 Candelabra flower arrangements and 7 posy's on vases, 2 different designs placed alternatively on the tables to make the decor a bit more interesting.